Of course Vera & John, one of the most popular NetEnt casinos, also run some special Christmas promotions. It’s not really a Christmas calendar over at Vera & John, but you are able to claim a special promotion every day until Christmas. Vera & John added a special Xmas wheel. You have to log in every day and spin the wheel for your daily bonus. These are reload bonuses, special slot tournaments or reduced prizes to buy things in the Vera & John shop. 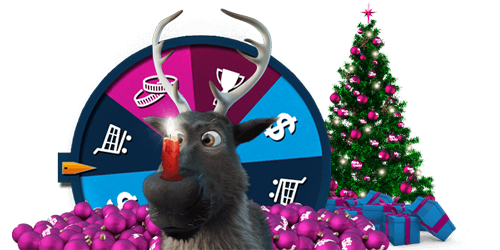 Like for instance today you are able to buy 10 free spins on the new Xmas Joker slot by Play’n Go for only 10 coins. These coins are earned by playing and depositing at Vera & John. Of course you are overwhelmed with Christmas promotions and calendars so just pick the best casino for you. Vera & John is especially very popular amongst UK players. They offer games from NetEnt, Microgaming, Williams Interactive, Play’n Go and other providers. And Vera & John is one of the most trusted online casinos.